Los Viajeros Mariahis are the premiere mariachi band on the East coast of the US. 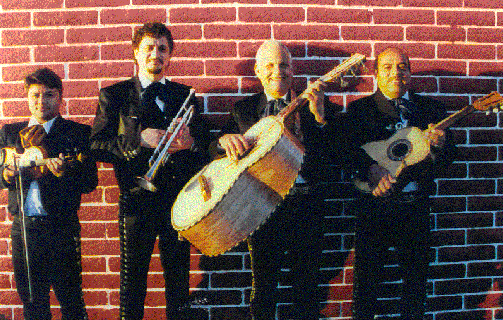 Lead by Hector Varel, they follow the great Mexican music tradition in presenting world class Hispanic music. From all over Mexico and Central America, they play for weddings, restaurants, street fairs approximately 300 performances per year. Tight vocals, virtuoso playing, and family entertainment are their trademarks. You choose the program with Los Viajeros.